Missions are an important part of who we are as a congregation. We have been blessed to be a blessing to others. We are active in local, national and international mission that benefit the “least of these” as Jesus commanded. Shawnee CommUMC continually has a variety of in-house, local area, long-term, and one-time mission projects going on. Details are available in church publications and the website. If you’re not sure what is right for you, contact the church office and someone will brainstorm with you to find the projects(s) where you would like to serve, either in our church, community, nation, or world. 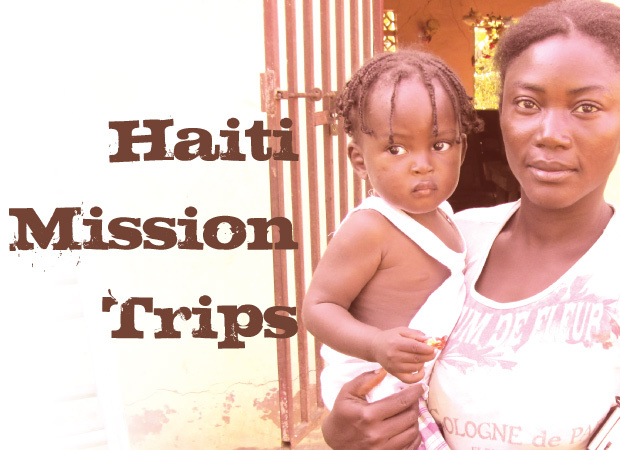 Are you interested in donating to our Haiti Missions? Click Here to be directed to our online giving page! Community United Methodist Church is proud to announce that we are partnering with Family Promise now. Four weeks each year we host up to three displaced families in our Shawnee Campus building. Family Promise exists because there is no place for men, women, and children to stay together in a shelter. Families need each other in times of great stress and being homeless is a very great stress! Churches that participate host up to three families for 7 days four times each year. These are the students at the school in Borde. When you sponsor a Haitian child’s tuition or feed a child for a day, it is one of these children pictured here that you are helping. We’ve invited each person who sponsored a child to take one of the pictures. Pray for that child as you provide the financial opportunity to eat and go to school. Would you like a picture? Please contact Ashley in our church office at 419 991 4806, and she will arrange for you to get a picture. Thank you for the way you are blessing and loving the least of these. It can be done, and our community can take a leading role in this effort!!! Last year area businesses and professionals, along with CommUMC and St. Charles Catholic Church, raised over two million meals for distribution by the West Ohio Food Bank. More than 150,000 local people are served annually by its 200 member agencies in Allen and the surrounding 10 counties. With this bleak economic situation, more people, especially women and children, are relying on the food bank for their meals. Therefore, it is more important than ever for us to contribute generously to this cause. Want to be Part of the Harvest for the Hungry Team? This team organizes area churches, businesses, and professionals, to raise money for over two million meals to be distributed by the West Ohio Food Bank. A special Sunday is set aside in November each year to celebrate this month long event during our worship services. Complete the form below and we’ll contact you to get you started. Check out this year’s calendar of events HERE! Christmas is a difficult time for families torn apart by parent incarceration. Angel Tree is a national program that works to help make a connection between a prisoner parent and their child(ren) through Christmas gifts presented to the child purchased by our church members. Servants are needed in November and early December for organization & tree set up, calling, gift purchasing, and delivery. Look for the Christmas tree in the Commons at Shawnee CommUMC during December or contact the church office at 419 991 4806. Our Daily Bread Soup Kitchen Team meets 9:30 AM –12:30 PM the 4th Friday of each month. The team works in the dining room serving drinks, washing tables, folding free clothing, and talking to people. It is a flexible team whose members come as often as they can. The Christian Corners Soup Kitchen Team meets the 4th & 5th Fridays of the month 9 AM – 12 noon, to cook and serve the meal. This team is working to establish the safest environment possible for all people in our church’s facilities. Servants with training or interest in medical emergency or violence control are welcome to be a part of this team. If there is any interest, this group could also organize help for local or national emergencies. This team will work with servants for the Christmas ringing of the kettle bells, provide secretarial servants at the SA office, and the organize Shoe Collections for school children.